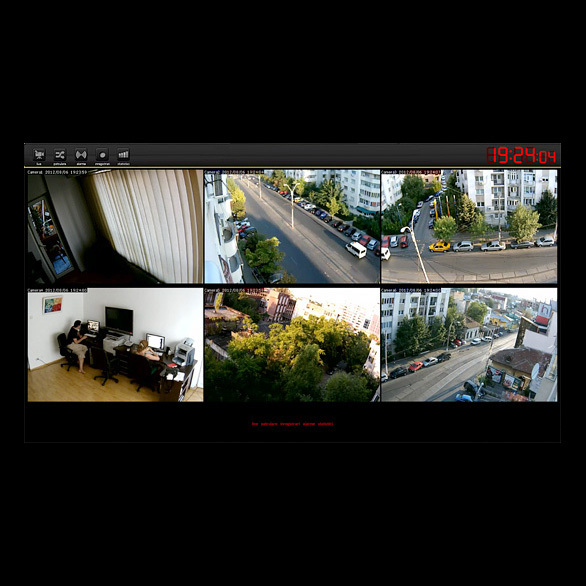 The system allows local recording, LIVE monitoring and REMOTE recording of surveillance cameras mounted in different geographic locations. The system is modular and expandable, and can easily be expanded to an unlimited number of locations and surveillance cameras. The essential feature is the ability to transmit video at a premium quality using regular internet connections. -The solution allows monitoring from anywhere in the surveillance cameras on any device (computer, smartphone, set top box, Smart TV, etc.). -The solution includes a complex reporting system that allows you to generate statistics on the number and type of alarms, tracking records, hardware and software status of the system etc. -Permit remote monitoring of targets in totally isolated areas (mountains, desert, forests) using a dedicated satellite connection. -The proposed streaming solution allows remote live transmission for remote viewing of images provided by camcorders at high quality SD or HD. -To distribute live or recorded images at a distance, internet bandwidth, implicitly costs, are much lower compared to similar solutions on the market. 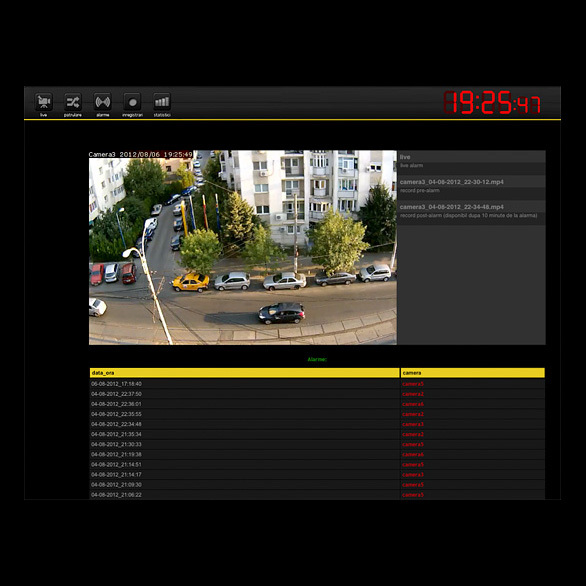 - Allows automatic detection of video alarms (motion detection and tampering) by automatically activating the live stream in the monitoring interface and viewing pre-recorded images of the event (10 minutes before the event) -For optimized image compression algorithms, the solution allows you to store a large amount of information on hard disks using smaller storage space without affecting image clarity. We are a flexible team who put great emphasis on communication with clients, as the basis of high quality software and video development and streaming. Only by identifying the problems our clients encounter, will we be able to create an application meant to increase the company’s turnover and truly respond to their needs.